We were looking for a letterbox near Glass Beach in Port Allen on Kauai. We started walking up the hill looking for our clue, a Buddha. We began to notice rocks in the dead weeds. Some of the rocks looked like headstones. As we looked closer we could see Japanese characters carved into the rocks. It seemed that a few people had chosen to be buried here overlooking the beautiful blue ocean. We would approach a stone to examine it only too see more just a little way off and then more and then more. Suddenly we realized we were in the middle of a forgotten cemetery. The dead weeds were taller than the headstones carved from volcanic rock. They were obscured so that you would think that you had seen them all only to discover more on the next rise of land. Nearly everything was dead. There were a very few tall conifers and one or two green weeds and one lovely Heliconia plant that someone had planted on a grave. The weeds that were all about were dead, grayish brown. It was so dry one would never guess that you were on a rainy island just 10 yards from the crashing pacific ocean. It felt more like Nevada or Arizona. There seemed to be 2 sections the Japanese section and the Christian section. The Christian section looked more like a cemetery with rocks outlining the shape of the grave and crude rudimentary crosses for markers. Broken bits of jars for flowers and other bits of remembrances littered the graves and everything was covered in the rusty red dirt of Kauai. There were a few of those strange pictures of the deceased set into the stone, It looked like a oxidized post apocalyptic scene. One grave had a very crudely carved stone and then a nicer much newer granite replacement stone placed on the tomb in front of the other. The date was 1944. I seemed to have been tended to more recently than the others but it too was now forgotten. Who took the time to commission the replacement stone a parent a wife a sister or brother a child a lover the person responsible for his accidental death? The Christian section seemed to be less over grown and more recent. I saw a headstone from 1982. This section looked and felt like a cemetery but the Japanese side was so haunting. Black volcanic mounds rising in the red dirt and gray weeds with strange markings on them. The voices of the Japanese plantation workers far from their home saying we were here but have been forgotten. As we returned to the Japanese section we could see characters carved into the rocks. Some had lotus flowers carved at the base and we found two with a Buddha carved on them. One had the red dust of Kauai in the carved characters and it reminded me of the story I had heard that is was Japanese custom of painting over the name of your spouse in red paint as a promise to join them. Did the person for whom this stone was carved had someone to pledge to them? Part of me wanted to move to Kauai and tend to these forgotten graves. The other part of me wanted it to stay like this forever. It was surreal this barren world of death, every thing reminding one of death and decay, completely void of life on one side and the beautiful vivid blue pacific ocean crashing up again black rocks white ocean spraying 20 feet into the air pulsing reminding of the rhythm of life with in the waves and scattered amongst it all the remains of a dump. Cast off tokens once useful, now waste, forgotten. Hiking to the top of Diamond Head is not fun. Hiking Diamond Head is hard. At the top of Diamond Head you will see people crying, several people nursing injuries and a great view. I let my water bottle slide down the cement chute alongside the crazy steep stairs, that was fun to watch. On the way to purchase a chocolate orchid for my mom we saw this cool building and thinking it was a house declared that we would like to live there. On the way back we turned to get a closer look. Turns out it is a Buddhist Monastery. The nice boy doing yard work said it was OK to walk around, go inside buildings and take pictures. It was very interesting and lovely. There was a crazy lion/turtle/dragon statue in a pond. We saw offerings of produce, melons and rice. There was also this clever little corner with hundreds of little Buddhas. Nicki posed on the knee of one in this picture. The Shamrock. 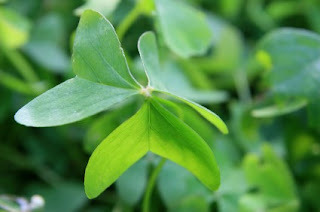 I received some shamrock plants yesterday and tried to explain the difference to Boba Fett between them and clover. I was not successful. The heart shaped leaves are so beautiful. I believe St. Patrick taught a lesson about the trinity using them. Blessings: I am grateful for the generosity of strangers. This picture is brought to you by June Bug. They have simple fairly modest leotards for $10.99 and have size 2! Yes it is true. We bought a pink and a black one. We got a code out of Family Fun Magazine (yes I will share it) and received 10% off of our purchase. They sell tutus and other stuff but I prefer to make my own tutus, skirts and wings. 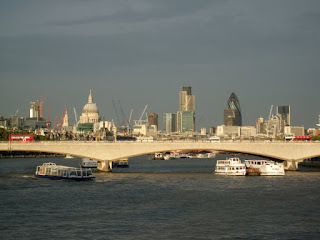 I found this blog today and it made me so nostalgic for London. This man does what I did in London, but for a living. He watches plays. 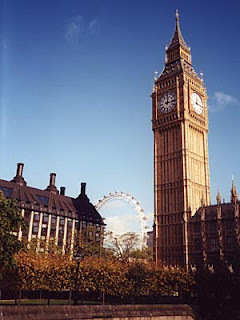 There is nothing quite like living in London even if it is only for a term. There is nothing like having seen 28 shows in 3 months. There is nothing like tossing roasted chestnuts into the Thames because they are not tasty. Since I don't have any of my pictures of London in digital form (though I did once see a digital camera while in London) I present a picture of my favorite bridge in London. Thoroughly unremarkable Waterloo Bride to me represents the embankment and delightful evenings walking along the embankment zig-zaging the river as we crossed each bridge. Waterloo must have held my favorite view. After the Luau Kalamaku the Polynesian Cultural Center had some big shoes to fill, and unfortunately they couldn't. The PCC was good, really good but after the luau on Kauai it was just flat. It was a terribly hot day, the VIP people were obviously getting a better tour than we were and the performers looked like college students on their summer job. The food at the luau wasn't as good and the villages were confusing. I felt alarmed that a church run business was so commercial, they were asking for money right and left. I really hated it. and Asian Barbie and Asian Ken. We couldn't decide if Ken and Ken were friends first and then found Barbies or if Barbie and Asian Barbie were friend and then went and got Kens. Moose and I after our Helicopter tour of the volcano. Big Island grafitti- white coral declarations of love and "Go Team" slogan spelled out on the lava rocks. We spent some time at "The Place of Refuge" or Pu'uhonua o Honaunau. Me hiding from Moose underneath a rock just like one of Kamehameha's wives did. The Plaid Family. I snapped this photo at the black sand beach. It just cracked me up, I wonder if they planned it that way or if it was an accident. Me standing close to the southern most point in the US on a black sand beach. The sand was very tiny pebbles and it reminds me of the weight stuff that fell out of a tape dispenser I once had. but honestly it was beautiful, I only wish we weren't so tired and exhausted by the time we arrived. -I noticed that even in paradise there is always a line for the ladies' room. When will builders learn? I did not appreciate spending my precious Hawaii time waiting to use the facilities. -Moose picked flowers for me, it was so romantic and probably not lawful. 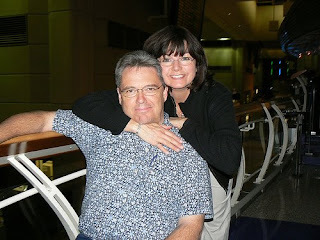 -At the Luau we sat next to a nice couple from Chicago. Then we saw them the next day coming off of Captain Andy's boat as we were boarding. Then the next day they were kayaking down the Wialua River as we were kayaking up it. It started to feel a bit creepy. -Apparently Mark Twain visited Hawaii and had a great deal to say about it. I am afraid I had no appetite for "The Innocents Abroad" once I knew that I COULD have been reading Twain's reflections on Hawaii. 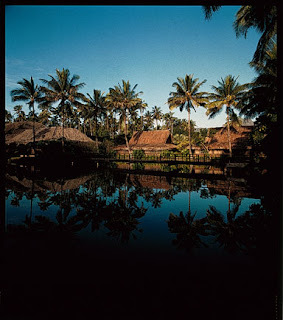 -There is this run down wreck of a hotel on the main road in Kauai called The Coco Palms. You can tell it was quite a place in the 50's, apparently Huricaine Iniki really did a number on it and it didn't bounce back.. We kept saying we should buy that place and fix it up. 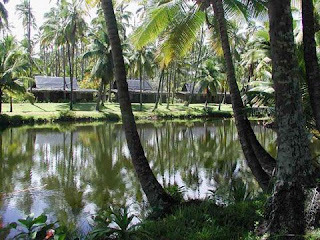 When we got home we learned that The Coco Palms was THE place on Kauai, it is quite famous and we are not the only people who want to fix it - we are the only people who don't have the millions upon millions it would cost to buy and restore it. The last 20 minutes of Elvis' film Blue Hawaii is filmed there. Check it out. Friday (June 20) we woke up early and hit Tunnels beach for some last minute snorkeling and stopped by the Queen's Bath again. Then we went back to the hotel and packed up so that we could stop at every Dirt Shirt Store on the Island looking for just the right one. We eventually found it. We drove up to the Wialua Falls overlook and then bid Kauai and our Jeep goodbye at the airport. There was the most adorable couple playing live music in the airport as we waited for our flight. I just loved the way they sounded and they were so cute. Nicki is posing here on the woman's guitar. She was so nice she gave me a pretty lei the only trouble is that it smelled so bad. It was called a 10 cent flower lei, by the time I got to the big island I thought I would be sick from the smell. This is a picture of the clocks in the Lihue airport. See how each is labeled a different city? The trouble is that they are all set to the same time! We flew first class on Hawaiian Air to Honolulu then Hilo it was cheaper than coach, but it wasn't very first classy, we were just the first seats in the plane. While we were killing time in the Honolulu airport waiting for our flight to Hilo we wandered into the now abandoned Aloha Airlines wing of the airport and like any self respecting tourists took pictures while it still existed. We weren't the only ones. The lady who took this picture was doing the same thing. I won't discuss how the rest of my airport experiences were but I did forget a water bottle in my bag and got a sheepish rebuke from the TSA guy. It is as if he knew this was ridiculous as he threw the brand new unopened bottle into the trash. I am just glad they didn't find my smuggled lei needle! Our Beautiful World: I was struck yesterday as I saw a maple tree with the most interesting leaves; they were big but the "fingers" of the leaf were long and skinny, much different than the giant leaves from the maple in the back that are bigger than Nutmeg's head. 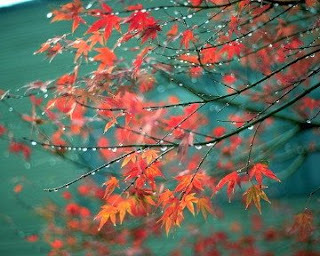 We also have a Japanese Maple in the front yard that has the most beautiful and delicate leaves. And of course from Maple trees we have maple syrup. Some of the trees are starting to turn color already. Summer seemed much too short. Blessings: A very good and kind husband. We went to a marriage relations seminar and he already does most of the things they suggested that the men do. Striving: to read the scriptures. Last night Moose and I were on a date and had 50 minutes to grab dinner. We swung by Nice Rice only to find that it has closed. Moose was sad because he actually liked a place that he thought I would like. So we drove over to to Sushi Town and tried that. 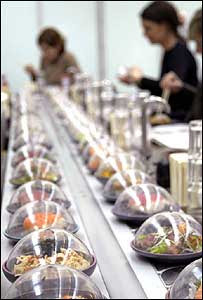 Sushi Town is a conveyor belt restaurant where all the little dishes with plastic lids rotate along endlessly. You see something you like, you pick it up. Everything is on color coded plates. At the end the waitress counts up how many green, blue, yellow or red plates you have and gives you the bill. It felt a little soviet and a lot Japanese though the employees appeared to be mostly Mexican. I had 2 plates of Maguro Nigiri (raw tuna), 1 plate of Unagi (grilled freshwater eel), and a specially ordered avocado roll. Moose had a teriyaki chicken bowl. So all in all a mixed review. I liked it, it was dirt cheap (all that for less than $11.) Moose will not be condescending again. Maybe I can make it a girl's night out or introduce the kids to sushi in an affordable fashion. Samurai Mom: See this color here, that is why I named Unagi, Unagi. Samurai Mom: Did you ever in your wildest dreams think that you would be so lucky as to have a wife that named her purse after sushi? Moose: No, no I didn't. Then you might have stifled a laugh just as the girl next to me did last night. My neighbor and I had decided to finally branch out and get to know our neighbors and to organize them into a neighborhood watch. She made a cute flyer with a row of different houses on the bottom. I told her it looked great but to be accurate for our neighborhood, they should be the same house repeated. Here's hoping the dessert potluck meet and greet/neighborhood meeting goes well and that no one gets into a fight with the guy who leaves his hug delivery truck parked on the corner blocking traffic. 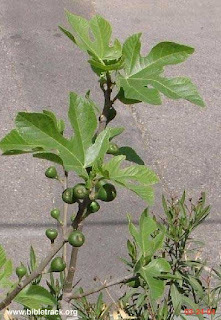 I think the way figs grow on the stem of the tree so interesting. The leaves are so distinctive and striking. I ate my first fresh fig this week. It was beautiful. I don't know how much I like them but I do like fresh figs better that preserved figs. My friend Katherine lives in a place called Fig Tree House. She says there is a mighty fig in the back garden. 0.11 acres (less the house and driveway and the enormous shade of the Maple tree) with which to grow food for my family. For quite a while I have been feeling deprived because there wasn't room for a garden and now that I have learned to be more creative, I feel abundantly blessed. Many people have no earth at all, mine just requires ingenuity and hard work. To drive out contention. A sister in our ward does "not allow contention in" her home. We are all stunned and flabbergasted at this but she says it really is possible. we must find a way to reach this utopia. With a rebel yell...we ditched work and 102 degree temperatures and went to the beach. We tried Indian Beach at Ecola state park on the recommendation of a friend. We also figured because of the fact that you had to pay to get to the beach that it might not be as crowded as other beaches. We saw more surfers today that Moose and I did on our trip to Hawaii. There were an abundance of dogs at the beach many of whom had poor beach manners and negligent people. If you are going to have dogs instead of children please teach them to behave as well as children. There were amazing rocks on the beach and I spent a lot of time practicing my rock stacking/balancing skills. Boba Fett and I took a walk to the rocks at the south end of the beach, were you could see the size of the waves which were impressive. And Nutmeg posed for the camera for precisely zero seconds but she did throw rocks, sand and sass everywhere. We certainly beat the heat, while the weather at the beach was fine, by the time we left Dooger's for our customary post beach meal it was 60 degrees and we needed our sweatshirts. Kiera Knightly - She REEEEEEEALY needs a dialogue coach. Seriously, the next time you hear her say "really" you will know what I am talking about. When I see her clavicles my shoulders get very, very cold. John Malkovich- The sound of his voice is so very... pedestrian. "Man In the Iron Mask" - ruined because of John Malkovich's voice. " Empire of the Sun" was the only thing I have head him where I didn't want to crawl out of my skin every time I heard his voice because his voice fit the character. 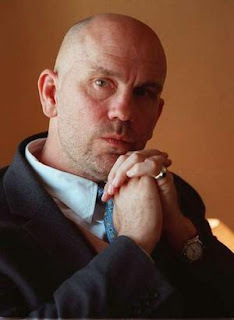 I have always been curious about the film "Being John Malkovich" but I am too, too afraid. 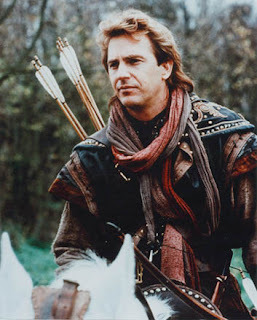 Kevin Costner - Complete lack of acting ability - I do love "Robin Hood and the Prince of Thieves" but that was such a fun movie not even bad acting could ruin it, oh, AND Alan Rickman totally made up for Costner's ineptitude. Angelina Jolie - I am jealous, she has wealth enough to travel the world and buy big houses, she is beautiful, she goes home to Brad Pitt, she has twins (2 for 1), 6 kids 3 of which she didn't have to bear, when the 6 kids are getting to be a little much she can just hand them over to the nannies, she is a UN ambassador, she helps all these poor people, I bet if she wanted to have chickens Brad would let her...the list goes on. But as my friend Deirdre points out Nutmeg is cuter than Shiloh and Brangelina are living in sin so I am 2 up. ***Disclaimer*** This list of course is a list when I am not expecting a little bundle of joy in the near future - as we all know EVERY smell makes one sick when gestating. "They paved paradise and put in a parking lot." You have never heard such a fuss at church, I heard from every one "Can I give you a ride home?" I told everyone, "Really we are fine. 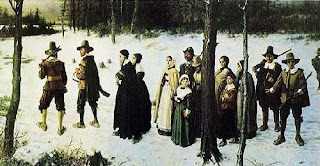 We CHOSE to walk to church". I mean come on, it was a fine day and it is all of 1/3 of a mile. If it weren't for the terrible town homes in my back yard I could see the church and probably tell you how many cars are in the lot. I did call Moose about 3 blocks into the return trip to come and pick us up. The kids were whining and I was embarrassed by all of the people pulling up along side us and offering rides. He met me in the parking lot of the pub, also, ironic. 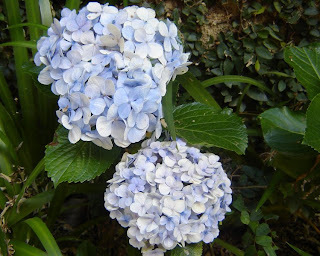 Our Beautiful World: The hydrangea is such an old fashioned flower. I love how it looks like a big blue popcorn ball. I am getting some soon! 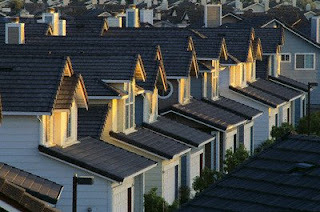 Blessings: I am grateful that I and my family have healthy bodies, that we can walk, talk, and see. "Stand Next to Me While I Humiliate You, Dear." I have to hand it to John Edwards, at least he didn't make his wife stand by his side as he admitted his infidelity to the world. It is one thing for a man to have his wife stand by his side while he denies charges but to make her stand there next to him while he tells the world that he didn't love her enough, find her fulfilling enough , and didn't respect her enough to be faithful and the he is sorry he got caught is despicable. I always wonder at those women standing up next to their lousy husbands trying not to look humiliated. DO they think they can help salvage their husbands political careers? 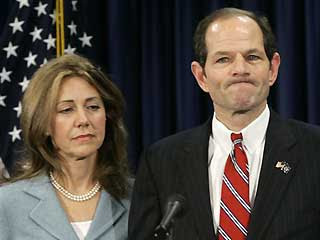 I am not inclined to vote for people who disrespect their wives and cover up their transgressions. "I woo'd thee with my sword, And won thy love, doing thee injuries; But I will wed thee in another key, With pomp, with triumph and with revelling." Last night I dreamt there was an invisible beast roaming the neighborhood. We discovered him after 2 white and one black sheep came to the door. We followed the trail of chickens, half chickens. He was invisible, a special effect movie's dream beast. Sometimes you could see invisibility moving, occasionally he lost his cloak and you could see a flash of white with spots, like a dalmatian/ polar bear/ tiger. I vanquished the foe by using Tanya's cross bow that was more like a long bow than a cross bow, a long cross bow of sorts with only a splinter of wood for an arrow. I shot him in the back of mouth piercing him fatally. I am Diana, an Amazon, protectress of the land. I have an unusual name. Only recently have I been able to find it in baby naming books and it is on a few name websites. Really it is the feminine form of a male name that means a narrow channel of water. I have found similar names that mean "girl," "graceful," and" wood." 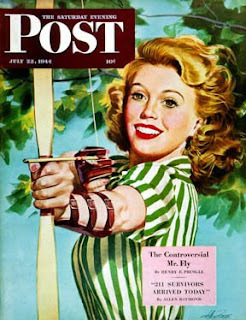 I think they are making things up now because today I found a new site that claims that my means "boomerang." My dad and Moose are laughing heartily right about now. No matter how many times I go to bed, I get out again, and come back up or downstairs. 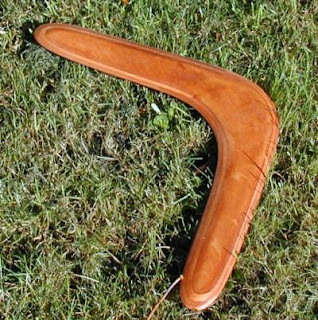 My dad used to call me "Boomerang." We started the morning by putting down the top of the jeep, driving for a few minutes and pulling over as a surprise rainstorm threatened, and putting up the top as the buckets began to fall. By the time the top was up, the rain was almost done. Then we met our group from Ali'i Kayaks and began to paddle up the Wailua river. We took a fork of the river as far as we could paddle and then we hiked though the jungle, which was mostly mud (mud not pictured here.) It was perilous folks. The majority of the group were people in their late 20's and early 30's pretty fit and we were barely able to keep upright. We saw some grannies beginning the hike and there is no way they made it. Water socks were mandatory not for water crossings but mud trudging. This is what they mean when they say "short hike" in Hawaii. Oh, yeah, and we had to dodge killer mangoes as they fell on our heads. Let me tell you the smell of rotting, fermenting mangoes is enough to make you swear off all fruit, forever. Still, it was worth it as we reached Secret Falls and saw this idyllic Hawaiian scene. I swam into the cold (but not as cold as any body of water in Montana) water and swam out to the falls. I am a pretty strong swimmer but I had to swim with all my might the force of the water was so strong. And then I tried to stand underneath, but that is a LOT of water tumbling on my head, it hurt. So hats off to all the actors and actresses who have love scenes under waterfalls, it isn't as easy as it looks. Our guide "Brandon" learned that we had a jeep and that Moose wanted to go employ the 4-wheel drive. He told us about this fantastical place in the mountains where the rocks are white and there is a pool of water that is so very blue, called, "The Blue Place." I think this is how he has fun with the tourists because we never found "The Blue Place." We did find a lot of mud, and huge holes in the road that were the size of a dodge ram. My neck was very sore and we found out what the bar on the passenger side was for -HOLDING ON! We did find a neat little swimming hole that we discoverd by following this irrigation channel, doesn't it just look so cool... This is an aquaduct type thing where 4 channels converged and there were falls and a pool that I swam in that was not safe for swimming. Once again, very strong current - but I had to get to the man made water falls. The beginning or end of this journey was at an arboretum that happens to contain cool trees that have bark that reminded me of brown, orange and green clay rolled together and this valley famous for being in the movie Jurassic Park.